I recently visited with some clients from our firm that were struggling with the decision to use a gestational surrogate to start their family. They had experienced a number of miscarriages due to the wife having a malformed uterus, and it was highly unlikely they would ever carry a pregnancy to term. The couple wanted to move forward with a surrogate, using in vitro fertilization to create embryos that were genetically theirs, but friends and family, hereinafter referred to as “The Circle”, thought it a bit over-the-top, telling them that they should “just adopt”. Now, in all fairness, adoption is a WONDERFUL option for those that choose to build their families in that manner. But to say “just adopt” makes the process of adoption seem as easy as going to the pet store and picking out a puppy (which it’s not), with the adoption being an easy fix to their grief (which it’s not). For someone that wants to be an integral part of creating a child (using their own sperm/egg, choosing the surrogate), “just adopt” rings a tone of unspoken disapproval from their usually affirming Circle. Certainly, these views are not limited to surrogacy – they are seen throughout the infertility realm. As a 15 year IVF professional, I’ve seen and heard it all. “There’s plenty of children in the world that need homes” is a common platitude that follows “just adopt”. Again, no argument there. But at what point is it ok for The Circle to start dictating to people how they should build their families? Isn’t this an INCREDIBLY personal and private decision? Perhaps The Circle should also offer up “just live childless”, as well? Or “you’re just not doing things right”? Or even “if it doesn’t happen naturally, it isn’t meant to be”? You see, for a woman that had experienced years of infertility and miscarriage, there was still a glimmer of hope that she may get to experience the creative process, the pregnancy, and birth of her (or her husband’s) biological child (albeit vicariously). She had given up much control of her fertility at this point, and the decision to use a surrogate was not an easy one. But it is one that she and her husband made. To build their family. Together. In their own way. 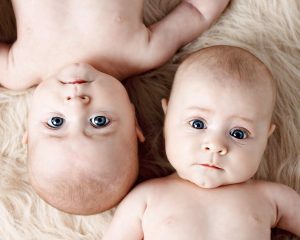 The couple went on to select a surrogate, who gave birth to twins last fall. No one in The Circle has complained about the source of the new arrivals since. Yes, all actual statements from family members.